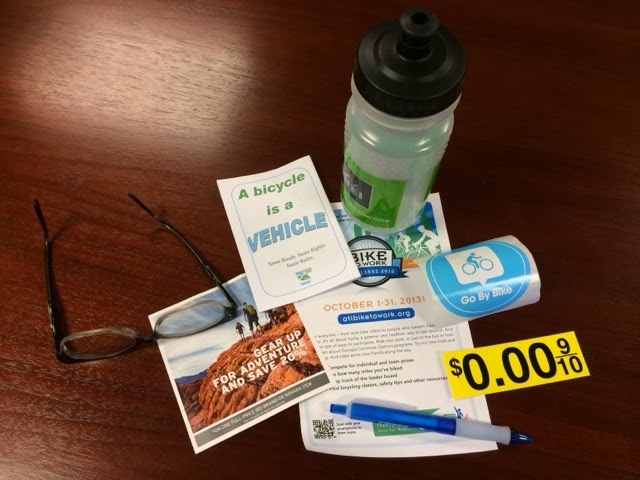 Tokens of appreciation from the Perimeter Transportation Sustainability Coalition, for participating in the Bike To Work Challenge. It is nice to know that there are support groups for cyclists. 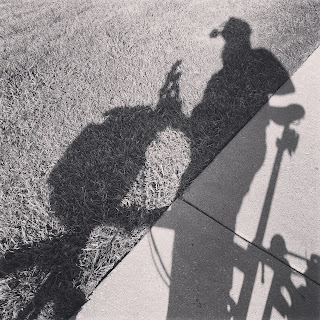 Of particular value to me are the Rights of Bicyclists from Georgia Bikes and the $0.00 sticker. The rights of Bicyclists is not something I don't know already, but there can be nuances in different states I suppose. Moreover, it is good to have a printed official copy of the rules, in case I have to defend my vehicular modus operandii with a police officer. On a different note, I have found a really cool place to ride my bike in Roswell; away from the big motors. More on it to appear in a future post, soon.